Your door security weighs much on the type of lock you choose. Having a good lock is very important. In Melbourne, we hear about robberies and home invasions caused by an intruder being able to gain entry through a poorly secured door. So, how do you know which lock is best? How can you tell it is the correct lock to get? With heaps of options in the market, how do you choose the right lock that answers your needs? Deadbolts are often endorsed for all outside facing doors. Deadbolts are frequently backed up by a simpler lock. Knowing which locks are right for you will ensure that your home or business is as secure as it needs to be. Your next questions will be – can you get one key for all locks? Do you sacrifice style for security? Whether you’re replacing a single lock, upgrading your locks or remodeling your home or business, knowing which locks are right for you will ensure home or store security. 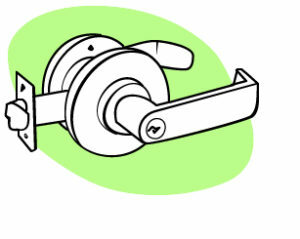 Below are three most common types of door locks. Key-in knob and Key-in lever locks. Commonly known as door knobs and door levers. Particularly those designed for external use, often feature a keyed lock and barrel mechanism. These locks are usually found on exterior doors. Fairly light in security, relatively easy to get around and it can be easily broken with a hammer, wrench or rock and shouldn’t be the main security lock on a front door. Deadbolts – also known as deadlocks or deadlatches. 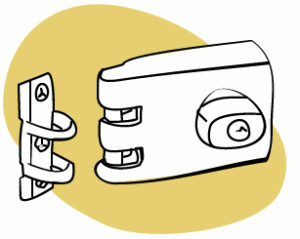 These types of locks are heavy-duty and the most common front door lock – for a good reason. Deadbolts can’t be rotated without a key. These locks are most usually used on exterior doors for added security. Deadbolts generally reinforce existing locks such as key-in-knob or key-in-lever varieties. Deadbolts can be quickly installed should your needs be immediate. They are likely found on garage doors or sheds with expensive things inside. As technology advances, keyless locks are becoming a fad. Electronically controlled locks are basically deadbolts that use a numbered keypad instead of a key. They require a code to slide the deadbolt open. As keyless locks are more advanced, they are more expensive than other locks. Today, keyless entry locks are being installed in safety-conscious homes across Australia as main entranceway lock. So, there you have it. The three most common kinds of door locks. We hope this article is helpful. But if you still are not sure which one to choose: a deadbolt or a keyless entry lock, simply call LocksUnlimited. 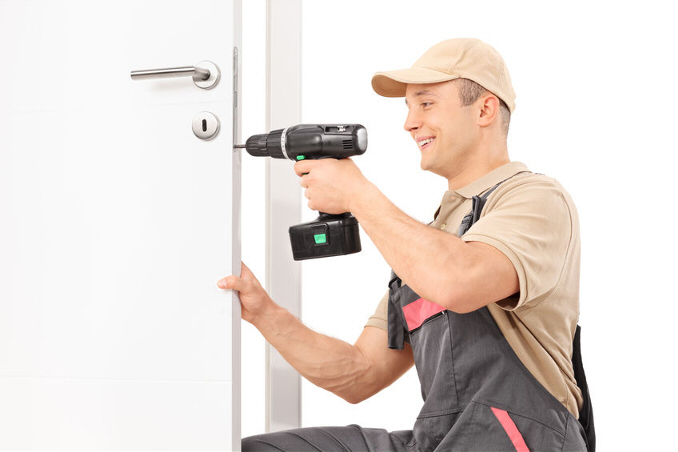 Our locksmiths in Melbourne are master locksmiths. We can give you expert locksmith advice. LocksUnlimited locksmiths in Melbourne will make sure the lock is installed properly, works well and doesn’t compromise your door security. Speak with us today. With today’s constant turnover of houses, flats, apartments, and businesses – it’s important to re-key or update an existing key to a newer one. For the savvy this could mean changing the key’s code. But for the layman consumer – this just means giving the same key a new tick. Rekeying ensures that the old keys lying around don’t work anymore. A lot of people say what for? ‘I know the old owners.’ But the other question would be – Do you know everyone else who has had the keys to that same property? This means – other tenants, cleaners, builders, kids, friends, etc. Sometimes people lose yes and forget they even lost their keys. This can be a very risky business, so why take the risk? We have re-keyed a lot of properties where they have been robed with no sign of break in. No smashed glass or broken doors. In other words, we know someone has used a key to get in. It’s hard to explain to the police and insurance companies that this has happened without some suspicion. Again, case in point, why take the risk? It’s an exciting time to move into a new place. Please consider and take extra care with who does the moving and even who does getting the phone and power services connected and who does getting insurances. Pay attention to who does the updates inside the property to make it your own. But the most important rekeying is often forgotten. but lock and key changing (re-keying) is the most important thing you can do before moving in by far it’s a cost effective way of doing this without the expense of replacing the whole lock. Your lock and key changing (re-keying) is the most critical thing you can do before moving in. It is a very cost effective way of updating home security without the expense of replacing the whole lock. What happens when LocksUnlimited mobile locksmith comes to your place? Re-key type of job will normally take around 10 minutes per lock and cost $15 to $25 per key hole. In most cases, all locks can be keyed alike or keyed differently. Security doors are also keyed the same as your front door for convenience. Having one only key proves to be most convenient and preferred by most of our clients. So LocksUnlimited recommends it as the best way to go when rekeying. We live in a day and age where business owners are faced with constant security threats. Threats abound from competition all the way to burglars. Businesses need to ensure that there are appropriate measures in place to prevent unwanted trespassers stealing and damaging your property and hard-earned money. This unwanted entry can also put your staff and customers in a potentially violent situation. Do not overcrowd your space. Have a clear view of your whole shop or store. This is essential. Having a crammed store is a thief’s dream! If they can’t see you, you usually can’t see them. This scenario is perfect for them. It makes it hard for you to see exactly have a view of what they have picked up and not paid for. Magic Mirrors. Installing mirrors in the corners of your store gives you the ability to target blind spots within your store that can be used for shoplifting. A View from the Outside. Have the inside of your shop visible to the people on the street. You can keep your gardens low keeping windows clear. Always ensures that the outside world can see you. This decreases the chance of your store being targeted in an armed robbery. When it comes to spending money to secure your business it can get really expensive. Depending on specific circumstances, it may be beneficial for your business to consider the following choices to prevent mass theft and damage. CCTV. This is now the minimum standard for security. Constantly recording and saving data is key so that if anything happens, you can at least have a view of what exactly happened. Alarms. An alarm is one of the biggest deterrents for thieves, The loud sound attracting unwanted attention usually is enough for them to leave. Security doors and fly screens. Security doors and fly screens in any structure is essential. Make sure that you have all points of access fitted with a lockable screen. Safe. Running a business often means that cash and valuables must be left unattended in the shop while it is closed. We recommend that you have a sturdy safe installed so that you can lock all valuables and cash away. Security bollards. These are designed to keep vehicles out of areas where they shouldn’t be. We have seen more and more cases of cars being used as a weapon of choice when breaking in. Being able to literally drive through the shop, load up, then drive straight back out. Security cage. Many of service stations, liquor stores, and milk bars have installed these security cages to protect their staff and products from theft. Security person. A security guard, recently is a hit. Many businesses have required the assistance of a professional security guard. Some thieves just don’t care, the thought of being caught doesn’t faze them and know that there isn’t much that you can do to stop them from just walking out. Having a security guard means that your stock will be recovered on a more consistent basis and it will deter most thieves from even attempting to steal in the first place. In Melbourne, most apartments, units, and homes have key locked letter boxes. Missing letters is a common everyday case. Spare front door keys or any keys for that matter are even taken out from these letter boxes. 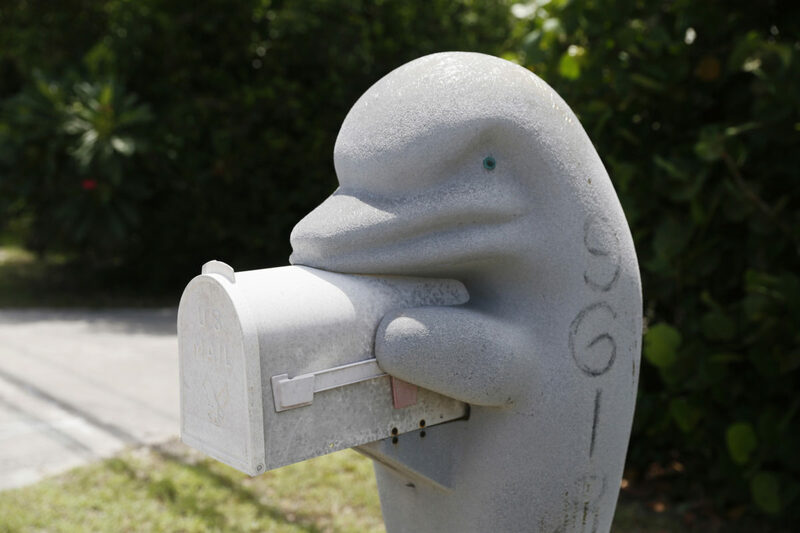 So, never leave your house or car keys in your letter box. 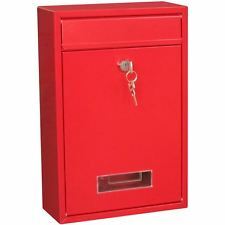 If you happen to lose your keys or had them stolen our mobile locksmiths at LocksUnlimited can bring service to your door and replace or just make new keys for your letter box lock – pronto! 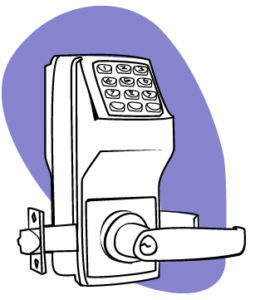 Supply and installation of a letter box lock will cost around $99 – $125 for a quality cam lock. It is also possible to better the letter box lock using a pin tumbler style key lock with the option to have security keys fitted also. Security keys are a lot more difficult to pick open and very difficult to defeat with a screw driver. Cost is $225, fitted. It is also possible to have a digital combination lock installed to a letter box. These digital combination locks have a three number code system and you can pick your own number. If you would like to get very fancy there is a lock available that will open using your mobile phone. Ask LocksUnlimited about it today. 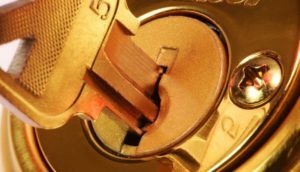 How Much Does a Melbourne Locksmith Cost? Getting locked out of your own house or car or losing or misplacing your keys can happen anytime. So, it is expedient to have on-hand the phone number of a dependable Melbourne locksmith. Having a locksmith on your phone book can resolve your security predicament. A qualified locksmith like LocksUnlimited can help you fast! Whilst price is not always equal to quality, it can be a deal breaker for most customers. Knowing the price helps people to budget and decide if it a service they want to get. Below is the cost of our services. 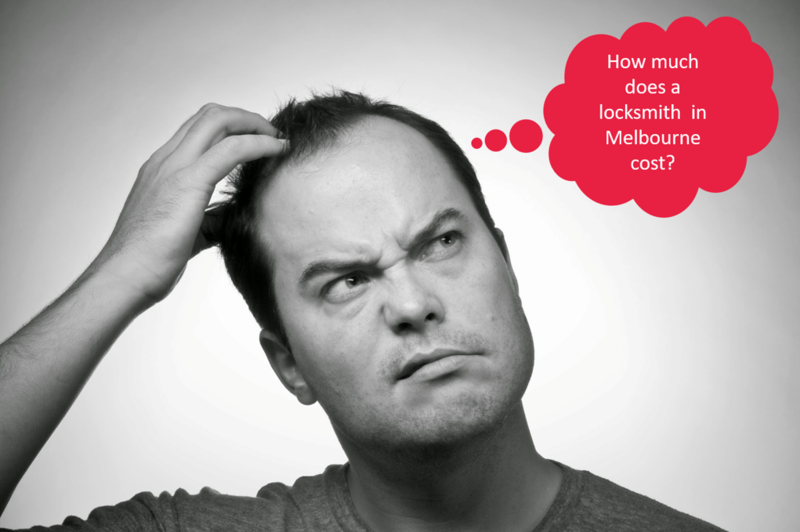 We hope it will give you an idea about locksmith service costs in Melbourne. Our basic locksmith service fees are listed below. LocksUnlimited offers a complete range of locksmith services and locksmith products in Melbourne and around Melbourne surrounding suburbs. If you have any questions regarding a specific service that is not found on this list or if your case is somewhat special, please feel free to give LocksUnlimited a call. We are happy to provide a free quote or advice on the best solution to suit your needs and come to you, anytime – all the time. All work performed by LocksUnlimited is covered by warranty. The products we use are covered by the manufacturer’s terms (most have 12 months warranty) and all labour is covered by a 3-month warranty. For after hours emergency locksmith inquiries, including price, please call 1300 303 720 and speak directly to our 24/7 qualified locksmiths. We will assist you with your inquiry. Experience top locksmith service in Melbourne, fast. We work quickly and we don’t mess about. *The above locksmith costs are based on standard non-restricted locks, keys, and basic vehicles. Non-standard applications may vary in price so it is always recommended to discuss pricing with our locksmith before starting or when booking the job. We are more than happy to provide a quote before commencing work. Business hours 8:30 am to 5:00 pm Mon – Fri. Sat 8:30am to 12:30pm. **Prices provided for repairs are based on an average cost. The price may vary depending on the complexity of the repair. 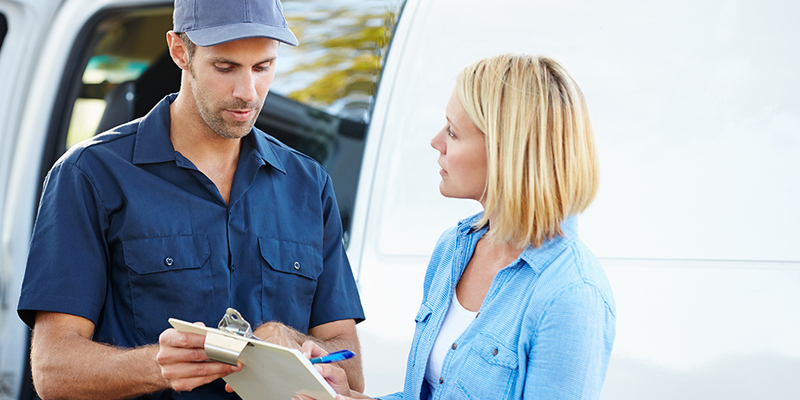 It’s always best to ask for an estimate when our locksmith arrives on site. Author louiePosted on July 13, 2017 July 26, 2017 Categories BlogTags rekey or replace keyLeave a comment on To Rekey or to Replace key, that is the question? This video was produced by ABC News years back yet still very interesting. Watch this investigative video and learn the lessons on how to avoid being scammed by con artist posing as master locksmiths. We at LocksUnlimited never scam customers out for money. We do our best to help our clients save money. The price we quote is the price you pay. Very few times we ever have to drill open a door to get in a locked house unless the lock is broken prior to us coming over to help you unlock your door. We are trusted locksmith in Melbourne with 25 years experience. Have you seen our LocksUnlimited Video? We are LocksUnlimited. Your mobile locksmiths in Melbourne. We are available and open 24 hours a day / 7 days a week. We service all Melbourne suburbs. Call us anytime at 1300 303 720. LocksUnlimited is your ‘local locksmith on the move’.